I came across this recipe on the back of my chili bottle. It was a fairly easy recipe to make and with so little ingredients so I made it over the weekend. Although I’m not a fan of processed cheese, this was quite tasty. My family came by and we all snacked on this dip. My nephew LOVED it! He’s a cheese lover so what’s not to like? 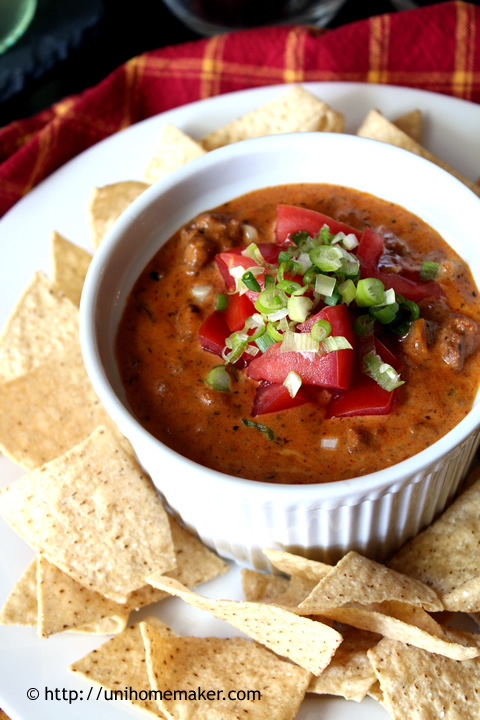 This dip is perfect for those casual impromptu entertaining and great for when you’re watching a game. Bust open a bottle of beer and it’s all good!